“Inspiring nutrition” – that means exciting ideas, attractive trends, and innovative products and topics that can get you ahead. Read on to learn what inspires and moves us, and be prepared for new ideas! We will be participating at this year’s Vitafoods Europe, from 7 – 9 May in Geneva , presenting a new generation of protein bars and meal replacements. 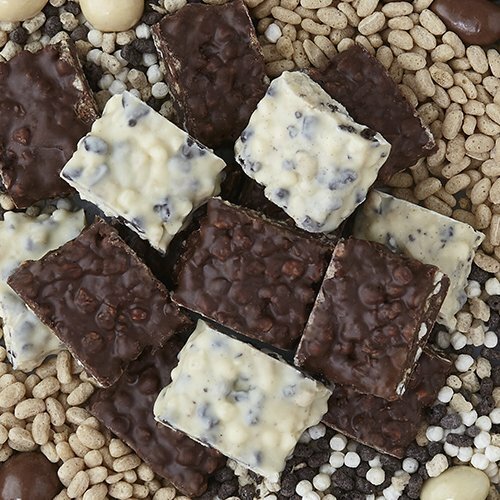 Our protein bars have a very soft and light texture – similar to that of confectionery bars. 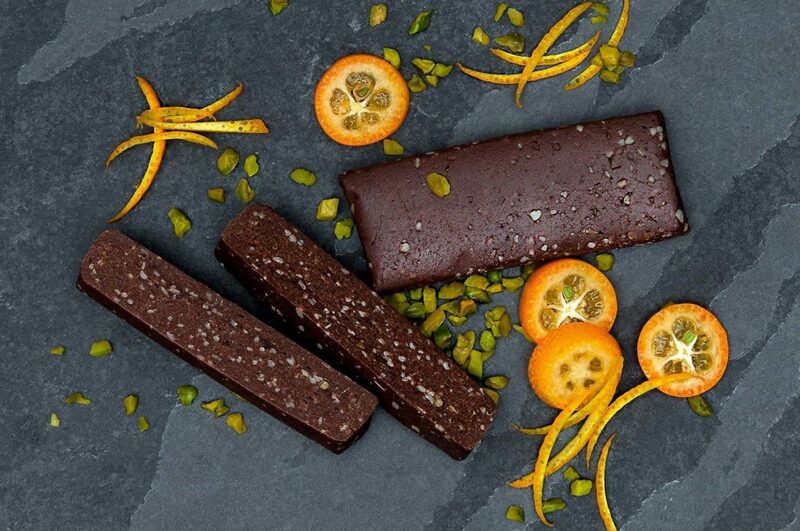 With numerous fashionable flavours, we can help you as brand supplier to extend your range of protein bars to include attractive alternatives with high unique selling value. If you’re interested to find out more, we look forward to meeting you at our booth L60. Those of us who aim to follow a healthy diet and lose weight in the process are familiar with “low carb”. One special form of the low-carb diet is quickly becoming better known and more and more popular – ketogenic nutrition. 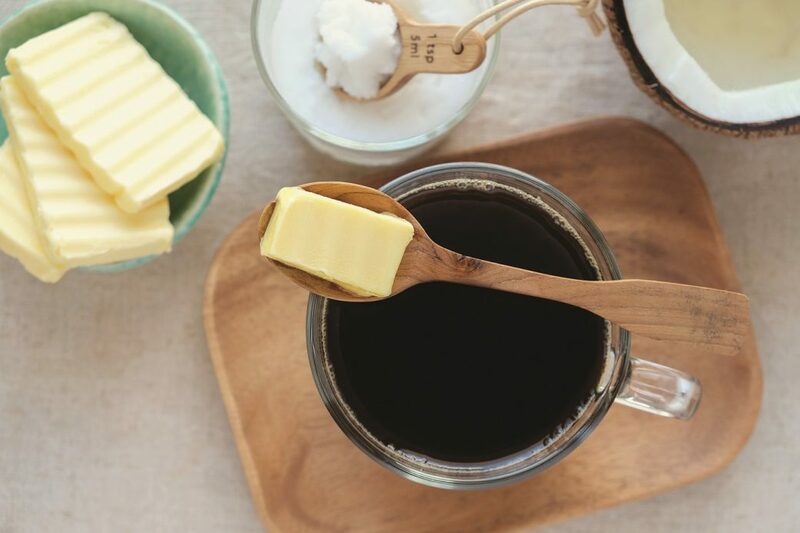 The ketogenic diet consists of about 75 % fat, 20 % protein and 5 % carbohydrate. Our energy metabolism adjusts to the new regimen and uses fats as an energy supply. In this way the keto diet offers an effective way of slimming. No wonder keto is already in third place among the nutritional trends in the USA! That is the conclusion drawn from the latest “What’s Trending in Nutrition” survey, in which some 2,000 dieticians were interviewed. In the German market, too, keto diets are becoming increasingly popular and are being recommended by more and more dieticians. An important constituent of the keto diet is high-quality oils and fats containing a large proportion of MCTs. According to scientific studies, these medium-chain fatty acids promote both weight loss and reduction of the body’s fat mass. Our new keto products are also based on MCTs derived from quality coconut oil. Three attractive new keto products are available: Ketoproof Coffee and Ketoproof Matcha Latte, for example, promise a perfect start to the day or fight that afternoon sleepiness. The dry beverage bases for blending with liquid contain 5g MCT and less than one gram of carbohydrate per portion, but they also contain a large proportion of dietary fibre. Our new range is complemented by the new Keto Protein Shake. It contains 9g MCT and less than one gram of sugar per portion. With its high percentage of valuable protein and large amount of dietary fibre it provides a satisfying meal for fitness and figure conscious consumers. Head for keto! We will help you do so. Duckweed is said to be the smallest flowering plant known, yet it is a real “power plant”! The nutrient profile of this modest mini-weed is impressive: high levels of protein and dietary fibres, omega-3 fatty acids, vitamins, minerals and antioxidants. That makes duckweed one of the world’s most valuable foods. Containing 45 % protein, 40 % dietary fibres and 7 % fat, it is predestined for use in modern nutrition. And that is not all: the protein it contains has an excellent amino acid profile, comparable to that of whey protein, and it also contains higher percentages of essential amino acids than rice, soy, pea or hemp protein. Duckweed is grown by aquafarming. It reproduces rapidly and can be harvested daily. Its cultivation is classified as climate neutral – a further argument that is gaining importance with consumers. 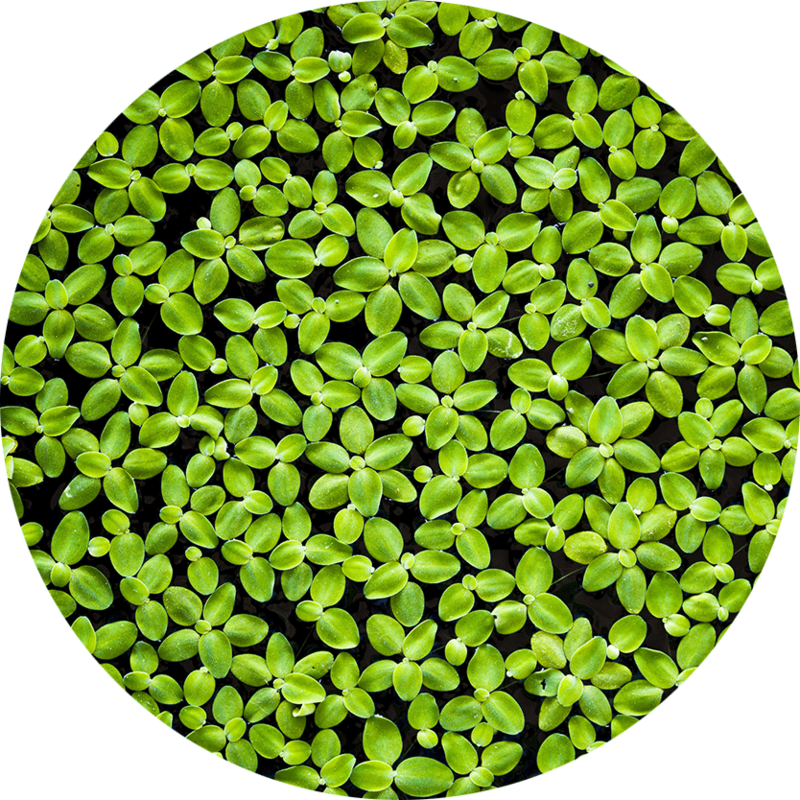 Produced as a fine powder and available under the trade name Lentein™, for example, duckweed protein has a pleasantly mild, vegetable taste and odour. It is readily digestible and naturally free from lactose, gluten, egg and soy. With these properties it is the ideal choice as an addition to drinks and smoothies, for snack products such as bars and chips and as a powder. In the USA, Lentein™ has GRAS status. In the EU it is classified as a “novel food”; its approval is not to be expected before the spring of 2019. Lecithin – a healthy booster and true multi-talent! Lecithin is seen as a real multi-talent. This natural substance contains many essential and highly effective components. Phospholipids make up the largest content of lecithin. They act, amongst other things, as membrane building blocks of brain and neural cells and, therefore, play a role in thinking ability and concentration. The choline contained in lecithin helps to maintain healthy liver function and a normal lipometabolism. The fatty acid, linoleic acid, is another important and even essential component. The body cannot produce this acid itself and must therefore obtain it from food. Linoleic acid contributes to a normal blood cholesterol level. The phosphorus contained in lecithin helps to keep bones and teeth healthy, and ensures the body’s metabolism is functioning as it should. Lecithin stands for a healthy lifestyle. It activates the metabolism and supports memory and concentration. 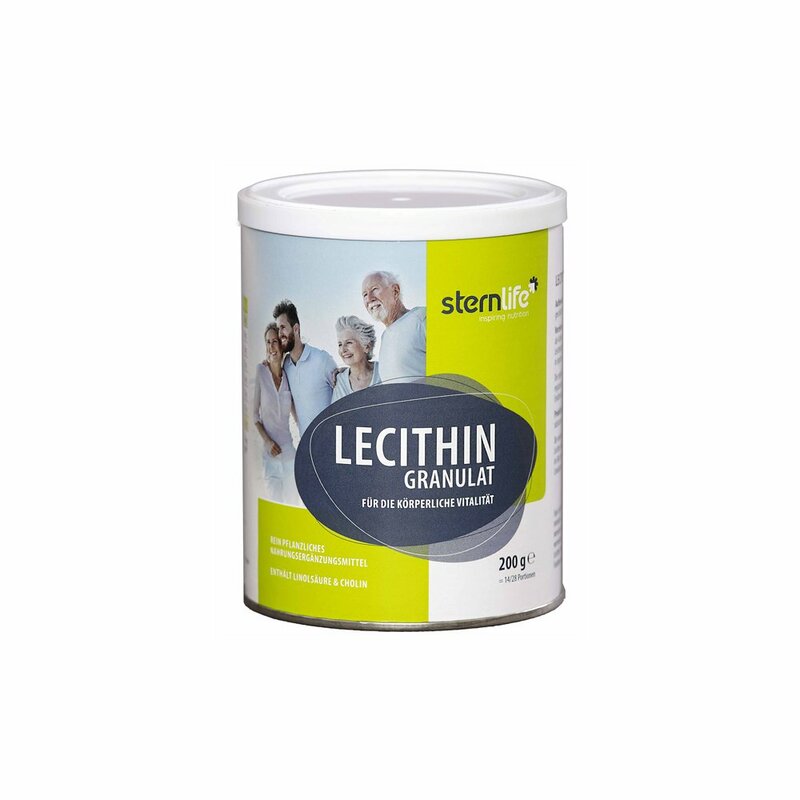 These convincing vital advantages of lecithin have turned it into a long-running success in the food supplement segment. We can supply you with lecithin as a granulate of the customary high quality ¬– under your own brand or as a SternLife brand product. The high-protein trend is gaining a foothold in Germany, as protein claims on food and drink launches continue their growth path. 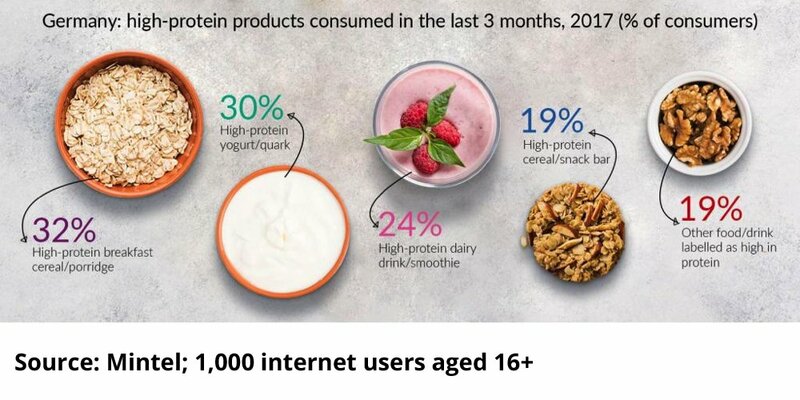 The absolute number of high-protein food and drink introductions has experienced over 80% growth over the past three years, making ‘high in protein’ one of the strongest growing claims in the German food and drink market. We develop and produce high-quality, effective protein products for your success, based on the “classic proteins” derived from whey and casein, or also alternatives such as soy and vegan proteins derived from rice, peas or hemp. As a manufacturer of high-class protein products and supplements we accompany your product development process from the initial idea to the ready-packaged protein powder or protein bar. Paleo power - less is more! Paleo is a lifestyle choice for healthy eaters. It is also a good and crunchy response to a diet that otherwise concentrates on numerous carbohydrates and additives. That’s why we developed the new “Paleo Protein Bar”. It consists of just a few, but natural and high quality main ingredients – dates, chicken protein, peanuts, cocoa and sea salt. Enjoyment can’t be any more original than that! The bar tastes of chocolate and peanuts, is rich in protein and dietary fibre and makes do with the natural sweetness of dates – a typical feature of Paleo. It does not contain any soya, milk, gluten, artificial sweeteners or added sugar. Hence, the new “Paleo Protein Bar” caters perfectly for the demands of your health-conscious and sporty customers: “Great taste for active people!”. Quinoa – Gets you fit today for tomorrow! We didn’t discover these delicious grains but we have made a tasty snack from them. Quinoa has been cultivated in the Andes for some 6000 years and is one of the most important staple foods in that region. That also explains why the grains have been nicknamed “Inca rice”. But Quinoa is not a type of rice or cereal but a plant from the genus of the goosefoots which has close relatives like spinach and beetroot. It’s not hard to explain how quinoa reached our plates. It’s not just the fine-nutty flavour that makes it an alternative to rice, pasta or potatoes. Quinoa boasts other distinguishing features like its relatively high protein content and its excellent amino acid profile. The delicious seeds contain all nine essential amino acids. What’s more, quinoa has substantial levels of vitamins, dietary fibre and minerals, and scores points with its high nutrient density (similar to types of cereal). But it doesn’t contain gluten which some people gladly do without. 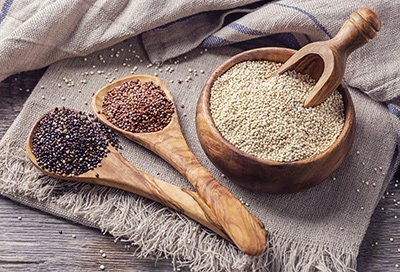 All these characteristics make quinoa the perfect choice for vegetarian products and functional bars. Interested? We would be happy to advise you personally. 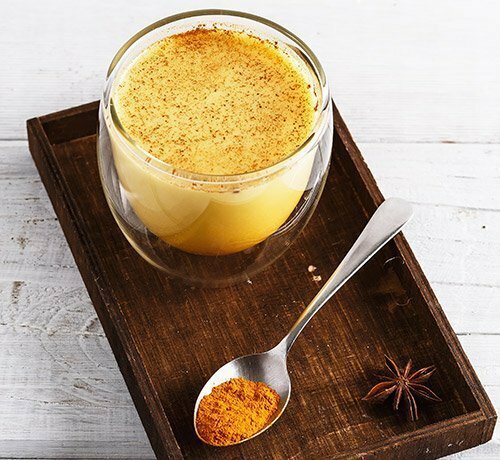 SternLife offers new sales-boosting options for turmeric, also known as Indian saffron powder. As a supplier of lifestyle, health, fitness and sports nutrition products, you can enhance their portfolio with on-trend turmeric products. You can choose between two varieties: Curcuma Latte with a high protein content of 71 percent for fitness-minded and health-conscious aficionados and Curcuma Capsules which stimulate the metabolism and help with weight management. Chocolate with a clear conscience: Snacks are very much in fashion. The topic, snacking, has now reached functional foods, too. 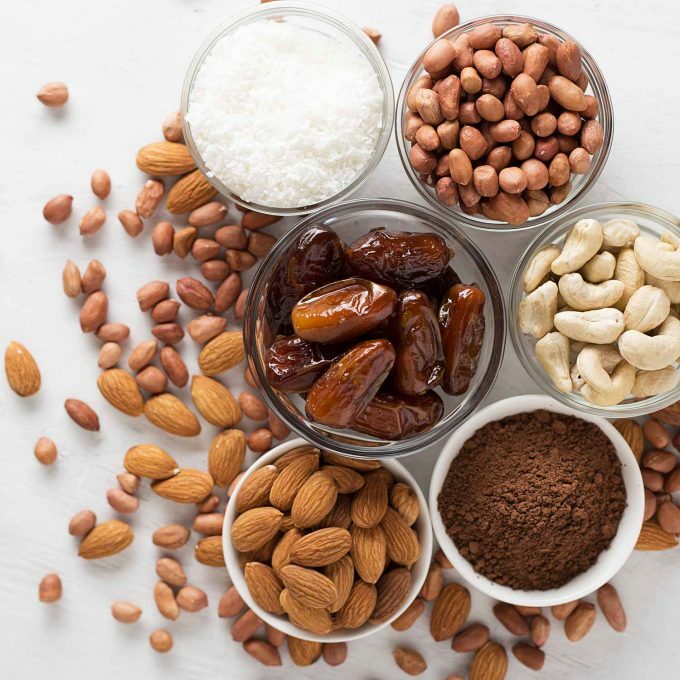 Whether crunchy bites or chocolate, final consumers are on the look-out for functional and healthier alternatives. Like our “Protein Snack-Bites”. With this combination of real delicious chocolate and up to 30% protein, you can offer your customers the perfect alternative when they are feeling peckish or are on the go. For our Snack-Bites we have enriched fine chocolate with high-quality whey protein isolate. Crunchy protein-containing whey and soya crispies give them additional bite. This means our new Snack-Bites are not just really crunchy. They also contain up to 30% more high-quality protein than ordinary chocolate. The small, bite-sized morsels are the ideal alternative to protein bars and conventional confectionery. Round off your range and offer your customers enjoyable and functional crunchy fun. Snack-Bites are available in delicious milk and white chocolate. Fruity Snack-Bites with cranberries or raspberries are another option. Why don’t you have the new hit in your product range filled into 100g stand-up pouches customised to your design. The tiny, dark brown seeds are the fruit of the Indian Plantago ovata plant. The seeds owe their German name (Flohsamen) to their appearance as the psyllium seeds look like tiny, jumping fleas (Flöhe). Unlike fleas, the plant has very positive characteristics: psyllium husks are a real power food for the intestines. They contain 80 to 90% roughage – and as if they hadn’t already scored enough points – the type of roughage they contain is easy on the stomach and swells readily. The husks absorb a high level of water and can expand to up to fifty times their size. This stimulates muscles in the intestines thereby promoting bowel movements and digestion naturally. We don’t want to forego any of these excellent characteristics in our products. That’s why our protein bread mix contains finely ground psyllium husks. 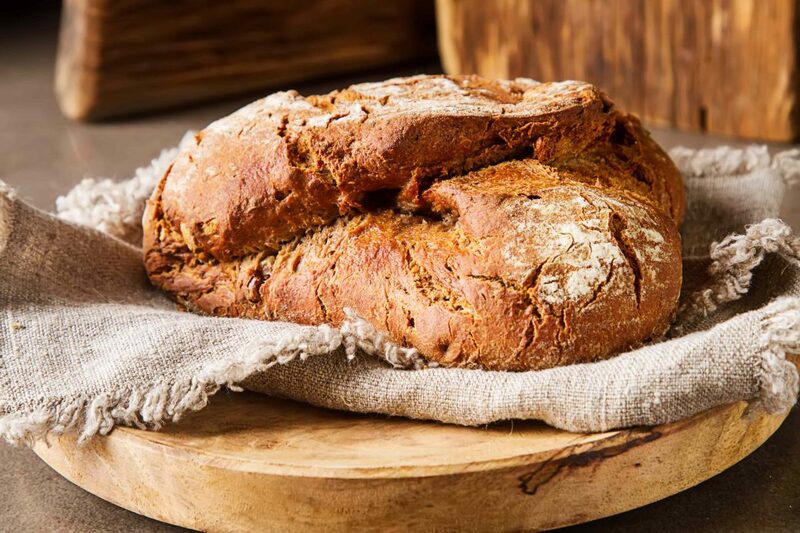 The considerable binding capacity of the psyllium husks and their high roughage content turn the protein bread into an easily digestible low carb meal – that’s equally suitable for a gluten-free diet. The psyllium husks have a very mild, almost neutral flavour and don’t disguise the typical taste of bread. We have also added psyllium husk powder to our smoothie powder. 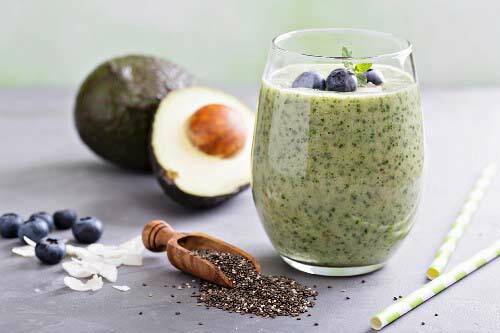 Hence, the mixed smoothie not only contains wholesome roughage, it also has the desired velvety-creamy consistency of the popular health drink. Your very good health! There is a strong trend towards vegan nutrition. Experts know that it is not only a case of replacing animal foods with vegetable products. What matters is the right combination of vegetable proteins to achieve the maximum biological value. So this is one of the principles on which our high-protein functional foods are based. Our team’s extensive knowledge of raw materials combined with excellent technical know-how is a source of fresh inspiration to our customers for vegan nutrition concepts. We set standards with effective and sustainable foods which are in line with contemporary taste preferences and consumers’ wishes. Naturally – in the literal sense of the word: for many of our products can be supplied in organic quality. To us, “vegan” and “functional” mean excellent flavour and convincing efficacy. 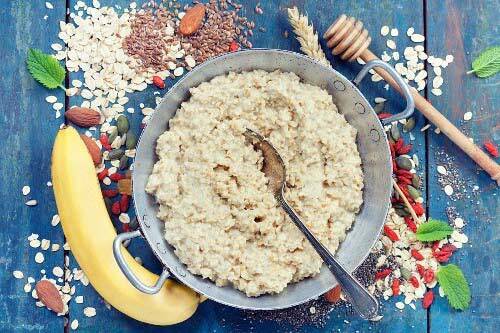 For instance, we have developed a tasty vegan protein porridge – a nutritious and healthy breakfast based on oats. Organic vegan bars: simply irresistible! Our new bar generation, that offers excellent potential for manufacturers of products for athletes, is based on organically grown dates. The vegan bar consists of 20 % protein from rice, peas and hemp and therefore provides all the essential amino acids. The bar is free from gluten, soy and lactose and also scores with its high percentage of dietary fibre. It is available in two flavours: cocoa and hemp seed or spicy lemon with ginger and chili, and with or without a chocolate coating. Not only athletes love it! Oats have become a trend food. Imagine the healthy cereal as an organic protein porridge that enables brand suppliers to extend their range to include a versatile vegan trend product. Our powder mix consisting of wholemeal rolled oats and magnesium-rich amaranth contains 24 % protein from peas and sunflower seeds. With its high dietary fibre content and pleasant apple-and-cinnamon flavour the organic porridge makes an ideal breakfast with a long-lasting satisfying effect. Since the purely vegetable powder only has to be mixed with hot water, it is also perfect for a quick meal in the office. Superfoods enable our customers to set trends. 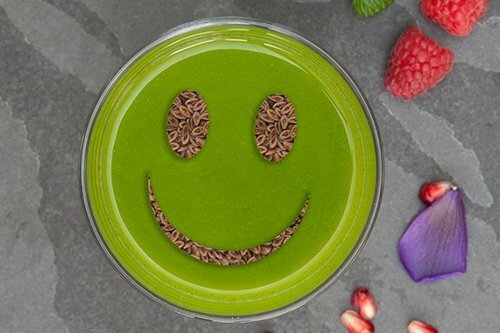 We develop tailor-made, innovative concepts for appropriate and creative combinations of functional foods with superfoods – for extra health benefits, and with the chance of value-added for our customers. Think of delicious and healthy bases for smoothies and drinks containing superfoods, bars with goji berries and protein bakery mixes with chia or linseeds; these are available in vegan and organic quality, too. Avocados are the fruit of a tree that originated in Central America, where avocados have been used for 10,000 years. In English they are also known as “butter fruits”, because the creamy consistency of their pulp is reminiscent of butter. They can be described as a superfood, for their nutrient density is impressive. The pulp contains a relatively high proportion of fat, between 15 and 25 %, but this consists largely of unsaturated fatty acids. Further advantages are high percentages of dietary fibres, potassium, iron, magnesium, copper and vitamins, (above all the B vitamins and vitamins C, D and E). We are glad to make use of the popularity of this tasty fruit for the benefit of our customers: we look for the individual creations – as shakes or in other dosage forms – that fit in with our customers’ brands. Hemp seeds do full justice to the title “superfood”: unlike the proteins of most other plants their protein supplies all 8 essential amino acids. 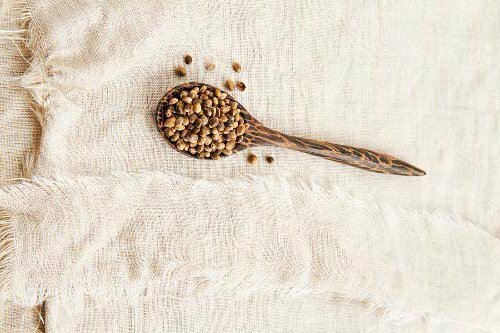 As a superfood, hemp seeds offer even more: the relatively high fat content enjoys a positive rating because of its high proportion of polyunsaturated fatty acids. Hemp seeds are readily digestible and wholesome, and they contain no gluten or lactose. Athletes, all active people, vegans and vegetarians appreciate these excellent attributes. With hemp seeds we offer our customers value-added – as a vegan bar or in a protein bakery mix. For hemp seeds have many applications, and they are a modern and healthy ingredient for functional foods. Goji berries– small, but wow! Goji berries have been used in traditional Chinese medicine for 6,000 years. In Germany, they are also known as wolfberries; the shrub on which they grow is called “buck’s thorn”. The little red fruit has a good nutrient density. It has earned itself the title “superfood” because of its high content of antioxidants, secondary plant metabolites, minerals, trace elements and vitamins. Goji berries have become well established among connoisseurs of superfoods. So you can emphasize the functionality of your products with goji berries and integrate this superfood into your marketing concept. 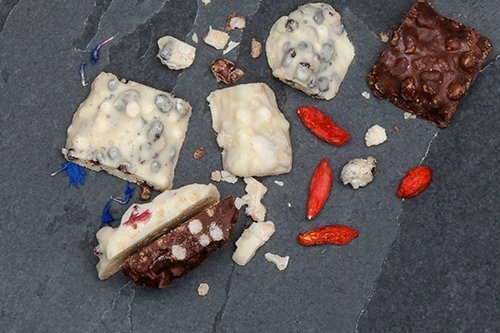 We offer innovative combinations, for example vegan bars with goji berries – a healthy snack that well deserves a place in the product range. With our new 65 % bar we are presenting a real all-rounder. The bar combines a “genuine” 65 % protein content with an attractive texture and excellent flavour. Gone are the days when protein bars were hard, dry and insipid. There are now high-end products that satisfy even demanding consumers, and with which our customers can secure themselves a noticeable market advantage. 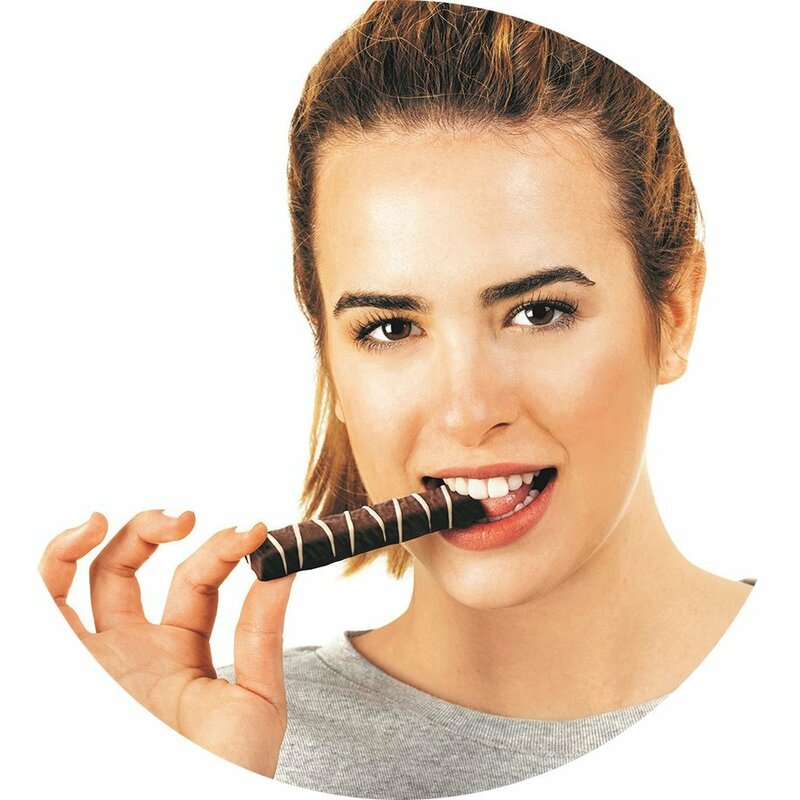 We will produce this unusual bar for you on the basis of valuable milk and whey proteins and without a chocolate coating. The bars are low-fat and sugar-free. They contain 30% less carbohydrate than conventional confectionery bars and are highly suitable for low-carb nutrition. 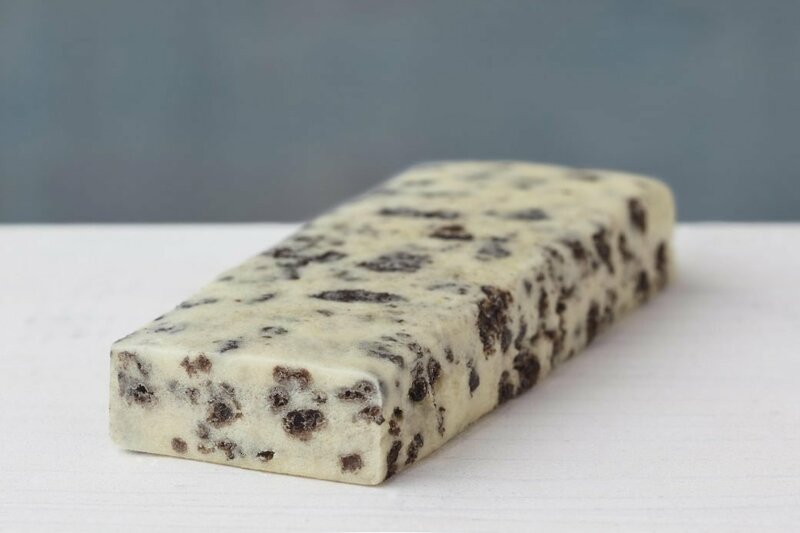 We currently supply the 65% bar in the flavour variants Tasty Cookies & Cream and Toffee Crisp. Trendy breakfast products offer enjoyment and convenience as well as a high protein content. We supply protein-rich powder mixtures for making pancakes, porridge and rice pudding, and also a nutritious bakery mix from which consumers can bake their own protein bread. The new products promise additional sales potential for suppliers of foods for athletes and health products, and also for drugstores and retail private labels. The protein pancake mix is based on valuable whey protein, milk proteins and oat flour. It has a protein content of 60 % and is slightly sweetened. The protein porridge consists of gluten-free rolled oats, milk protein and apple powder: together with cinnamon, the apple powder gives it a particularly pleasant flavour. The porridge has a convincing protein content of 30 %. Further incentives to buy can be generated with the protein rice pudding, that is just as quick and simple to prepare as the pancakes and porridge. Consumers only have to blend the readily soluble powder with milk or water and heat it, depending on how they wish to eat it. For a classic breakfast we have the protein bread mix. It consists of linseed flour, rice and pea protein, sunflower seeds and psyllium husks. With its unique nutrient profile, this bakery mix contributes to a balanced diet. The protein bread has a low carbohydrate content and is vegan and gluten-free. A good start to a healthy day!